Lately I’ve been seeing many of the same questions popping up here and other forums regarding the M62 supercharger; anything from installation, parts, upgrades, etc. After having many of the same questions a few months ago when I did my install, I decided to try and put together as much information as possible regarding this topic. This is by no means a “know all/end all” source of information, but I’m hoping my install experience and the research leading up to and during it can help some others. To begin, for anyone unaware, the M62 (also referred to as the MP62), is a positive displacement (roots type) supercharger manufactured by Eaton for use on many applications. There are many variations of the M62, though only one will fit our application. This particular M62 was designed for use with the LSJ motor used in the 05-07 Cobalt SS/SC and 04-07 Saturn Ion Redline, as well as in a bolt on J-body kit released by GMPP. The GMPP kit has been discontinued, but lucky for us, we can pull pretty much everything needed from an LSJ car. 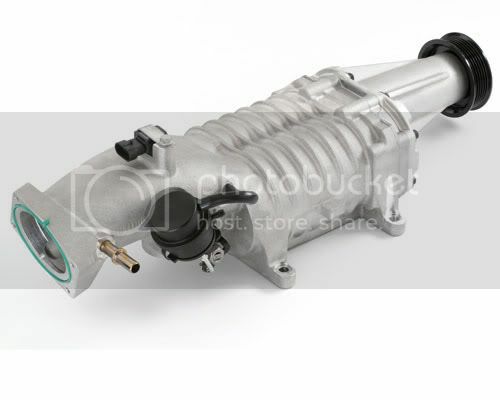 This style M62 can actually be used on any Ecotec motor, as the castings and accessory locations are the same between the various Ecotec models (this pertains to US 4 cylinder Ecos, as there are overseas versions of the Ecotec that are quite different). The roots type supercharger is basically an air pump, which uses rotors to force a higher than normal volume of air into the manifold where it is pressurized then sent to the motor’s combustion chambers. There is a wealth of knowledge to be found on the internet about how superchargers work, and you can start your search here. 1. I found a great deal on a M62 from a Pontiac Bonneville, can I use that on my J-body Ecotec? No, you cannot. Each version of the M62 is intended to fit a specific manifold, made for a specific motor. You need to use the M62 designed for the Ecotec. Easy Solution: If you can’t manage to find a complete kit, you can source your blower (and all other needed parts) from any LSJ equipped Cobalt or Redline. 2. The GMPP kits did not come with a heat exchanger system, do I need one? Will it work with my GMPP kit? Yes and no. The GMPP kit was designed for use without intercooling, though it is highly recommended to add one. Will the supercharger work ok without one? Sure. Will it perform with the highest efficiency? Probably not. Also, if you are running anything smaller than a stock pulley, I would definitely run some of cooling, whether it be a heat exchanger system, methanol-water injection, or in some cases both. We get lucky again, and rob a Cobalt or Redline of almost all the needed components for a cooling system. This will be covered in it’s own section later. 3. I bought an entire supercharger kit from my buddy’s Cobalt part out, but I’m told I can’t use the throttle body. Is this true? Correct, the LSJ uses an electronically controlled throttle body, and we use a cable driven throttle body. Go ahead and sell that LSJ tb for some extra cash. You will either need to get an adapter for your stock throttle body, or use a different throttle body entirely (also requiring an adapter, and I will cover both later on). 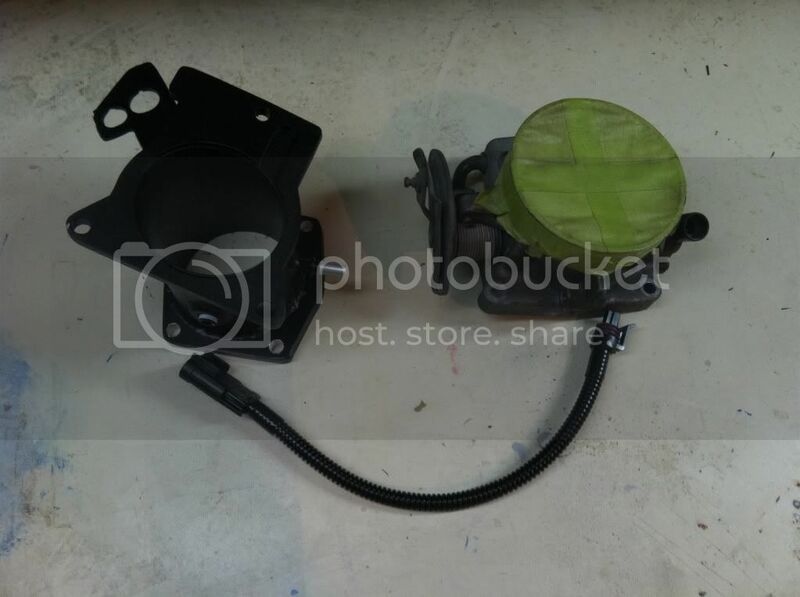 The GMPP kit included a throttle body adapter, which you can often find used adapters floating around for sale on various forums. MD Enforcer also offered adapters in a GP a while back, so those can be found on the forums as well. Your other option is Katech Performance, who is the original manufacturer of the adapters, and is once again making them. 4. Is the M62 safe to run on a stock motor? Absolutely, this is what GM had in mind when they designed the J-body kit. Now of course, the design was based around the supplied stock pulley. While smaller pulleys can be run (and successfully are everyday), keep in mind that our motors were not designed with boost in mind (our ringlands HATE extra pressure FYI), so as you start to introduce more and more power to the motor, you will be creating additional stress that can cut down the motor’s life span. Things like high boost levels, over revving, insufficient cooling, etc can all lead to a quick death for a motor. I fully believe that will the support of a thorough and efficient tune, and some sensible driving, even a higher mileage motor can continue racking up the miles under the power of a M62. 5. Ok, I have everything installed and ready to go, but what about tuning? There is no right or wrong answer when it comes to tuning, other than that you NEED some form of tuning after installing your supercharger. Our PCM does not understand boost in any sense, and cannot properly manage fueling in order to operate safely. There are many options; GM Reflash, HP Tuners, Trifecta Tuning, stand alone systems, and more. I will cover tuning a bit more in depth later in this write up. 6. T-MAP or MAP sensor? What’s the difference? Which do I use? Either can work, and is mostly depending on how you are tuning. The T-MAP is a 2.5 bar sensor, and is a must if you are running the GM reflash. You can also use it when custom tuning, though it is not necessary. Our stock 1 bar MAP can be used with software like HP Tuners. Keep in mind, the T-MAP is a combined MAP and IAT sensor in one unit, so if you choose the route of keeping the stock MAP sensory, you will still need to find a place for your existing IAT. 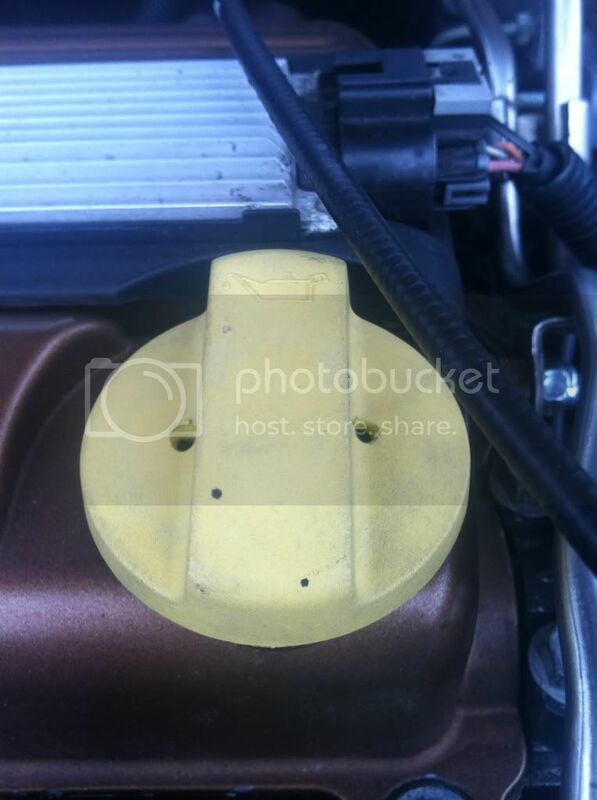 *TIP: I kept my stock MAP sensor, and ran a threaded IAT sensor instead of my stock. These are easily found on 4th gen F-bodies, as well as Quad 4 motors. This is plug and play with your existing IAT connector. I drilled and tapped the TMAP hole in the manifold to accommodate the threaded IAT, then branched my MAP into the vacuum lines used for the fuel pressure regulator and boost gauge. While it is possible to find used (or even in some cases still in the box) GMPP kits floating around, you’ll more than likely need to piece together a kit on your own. Again, your parts can be sourced from any 05-07 Cobalt SS or 04-07 Saturn Ion Redline (both using the LSJ motor). 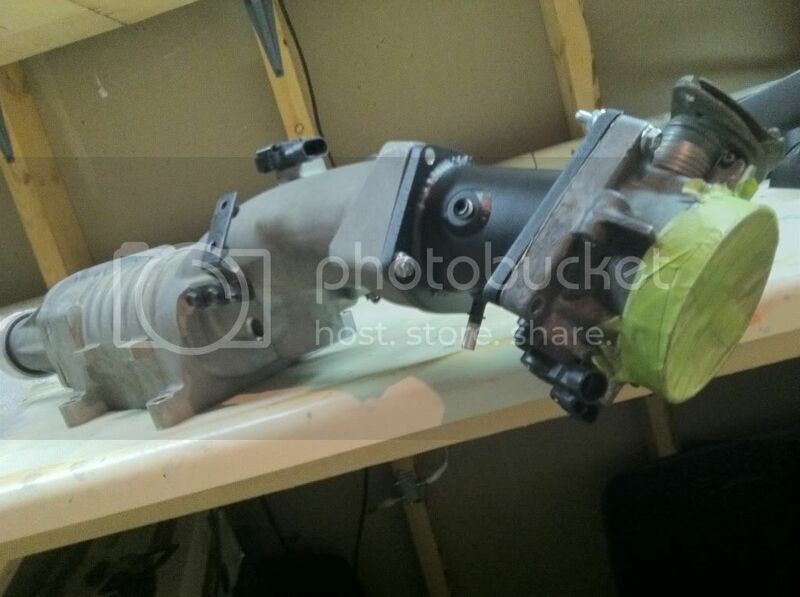 Parts are constantly being sold in the classifieds on forums (jbo, ecotecforum, cobaltss, etc), eBay, Craigslist, and more. If you have some patience and shop smart, you can easily put together the bulk of the kit for a reasonable price, or even get lucky and catch a part out and get a packaged deal. The following list is for strictly for the parts included in the non-intercooled GMPP kit. I will cover add-ons such as the cooling system later on. * Not sure if the GMPP part is still available, but you can use a Cobalt SS/Redline belt, (it’s a 6 rib belt), cut off one rib so it fits your stock pulleys. * There is also a 10 rib Goodyear Gatorback belt available for like $20 from Autozone, cut in half and you have 2 belts for the price of one. * For this, I just cut the hard plastic hose off of the quick connect ends, and reused one of the ends with some bulk vacuum hose. * I can’t locate the GM Part #, but you’d end up paying $300+ for a new unit from GM, and only $150 from Ford (they are the SAME Bosch pump). You can also get these from ZZP, OTTP, and many other online vendors for $150 or less. * If you’re shopping for used parts, you should be able to find the pump, brackets, and sleeve sold all as one. * You can grab these from eBay and Amazon for $7, and I think most local auto part stores carry a pigtail that will work. I’ll go over wiring the pump later in this write up. Also any LD9 or LT1 fuel injector pig tail will work. If you’re like me and sourced together all of your parts, you may be missing some parts, or perhaps you’re missing every bolt. 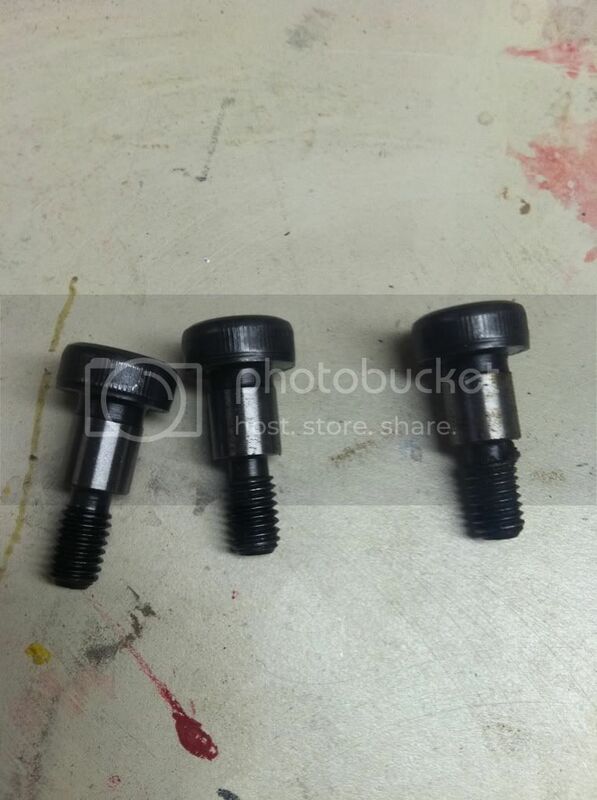 You could get all these from your local dealer or GMpartsdirect, but you’re going to pay about 4x more than any bolt is worth. I bought all my hardware between Fastenal and Lowes for a fraction of a price. The intake manifold is designed for using M8 studs, while our L61 head is tapped for M6. This creates a problem reusing our stock M6 studs in the head, as it gives the manifold a little wiggle room from all of the vibration, and can eventually lead to something like a stud sheared off in the head. The GMPP kit came with M6-M8 conversion studs, though I don’t think you can get this through GM anymore (and even if you could, I don’t recommend it…they’re petty light duty and have poorly cut threads). Tinkles turned me onto the thought of shoulder bolts, and this is probably the best/most cost effective route. 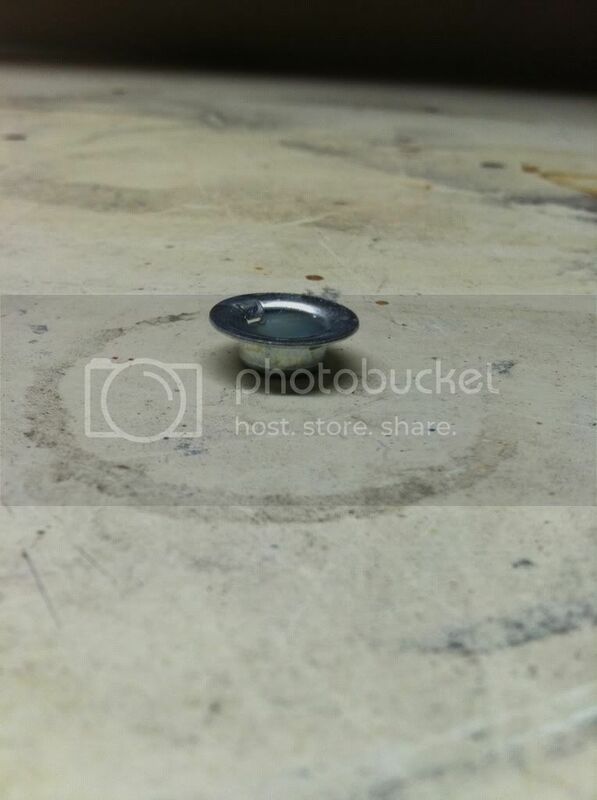 For the rest of your bolts, just grab some metric flange bolts from Lowes or your local hardware store. I recommend using blue thread locker on everything. Installation of the kit is pretty straight forward, and can be easily accomplished at home with some basic tools. Set aside the better part of the day and grab a case of beer and you should be good to go. I’ve included a link to installation instructions from the GM Build Book. This includes step by step instructions, part numbers, and pictures. I’ll also go over a few things I learned during my install. 1. Making room for the tensioner assembly – You’re going to remove the lift hook from the head (front passenger side of head), and you’ll need to grind down the surface it mounted to in order to make enough clearance for the tensioner assembly. If you have an air grinder, this should take seconds to do. A dremel can also grind this down with ease, and if you have no access to any kind of rotary or power tools, cast aluminum is soft enough to make filing by hand relatively easy. You don’t need to remove much, I think I removed about 1/8” and I have plenty of room now. Once you have all the old equipment off and it’s time to install the new intake manifold, I would take a few minutes to clean up the mating surface on the head. I recommend cleaning the threads before installing new manifold bolts. Last thing you want is to snag and strip a thread in the head. A M6x1.0 die will work great, and if you don’t have any, you can pick up cheap tap and die sets at Harbor Freight for $10. I would also take some intake/carb cleaner and scrub the side of the head good to make sure the gasket makes a good seal. The instructions tell you to cut about 1” off the end of the lower coolant hose on the surge tank, I would also recommend using a few zip ties and pulling the hose closer to the radiator to give a little more clearance from the supercharger belt. If you are buying a used blower from an LSJ car, it’ll probably have a pressure sensor mounted on top. We do not use this on a J-body. The hole needs to be sealed (otherwise you’ll have a massive vacuum leak), some people just leave the unused sensor attached, and some plug it. I chose to plug the hole to help clean things up cosmetically; you can grab tap in 3/8” axle nut plugs for about $1 from the hardware store. 5. 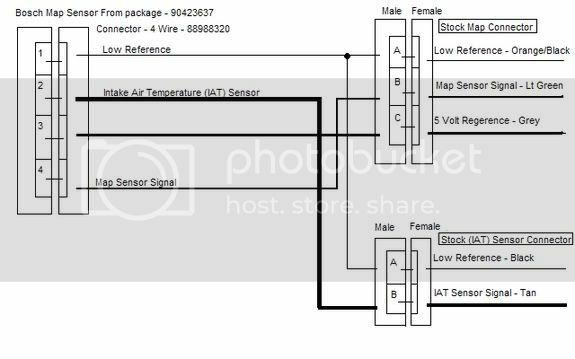 Wiring the T-MAP sensor – This obviously does not apply if you are utilizing your stock MAP and IAT sensors. Though the GMPP kits did not come with any cooling system, I would recommend it even on a stock pulley, and say it’s mandatory for anything smaller than a stock pulley. Roots superchargers heatsoak quickly, and as the temps continue to rise, you are robbed of more and more power potential (all this generated heat just soaks directly into the head). 1. Wiring the IC Pump Harness – To my knowledge, there is no plug n play harness we can use from the Cobalt, it’s part of the wiring harness. You’ll want to run a harness with a relay and fusible link. Wal-Mart carries a Scosche fog light harness that works well with simple modification. If using this (or similar) wiring harness, there will be a 12v and ground (most likely black and white) wires that are meant to plug into the fog light extension. Cut this off, and connect the IC pump pig tail. I suggest soldering all of your connections. On the opposite end, you’ll have a black (ground), red (constant 12v), and white (switchable source) wires. Black (ground) - this is self explanatory, ground this to any solid grounding point. White (switch) – I would choose tapping into a source that is powered with a “key on” function, so the pump can be run without starting the car (helpful in filling the system or cooling between runs at the track). I chose the fuel pump wire in the engine bay’s fuse box (there are 4 pink to choose from, all hot with key on), some people tap off a radio circuit, multifunction switch, etc. 2. Heat Exchanger – A popular choice for mild setups is the h/e from a Mustang Cobra S/C, you can easily find these for $50 and less. There is also a huge aftermarket when it comes to heat exchangers; ZZP, OTTP, Griffin, Fluidyne, and more. I recommend something with a dual pass core, as these will help lower overall temps, as well as aid in bringing your temps down quicker between consecutive pulls. 3. Manifold Endplate – The stock endplate is designed to bring the coolant in the bottom, pass through each core one at a time, then exit through the top. This is somewhat inefficient as each time the coolant makes it’s way from one core to the next, it’s being heated exponentially, and losing it’s ability to cool the air passing through the manifold. The dual pass endplate is a popular option, and is a great option especially when used in conjunction with a dual core h/e, such as a ZZP S3. I’ll go more in depth on this in the “Upgrades” section. 4. 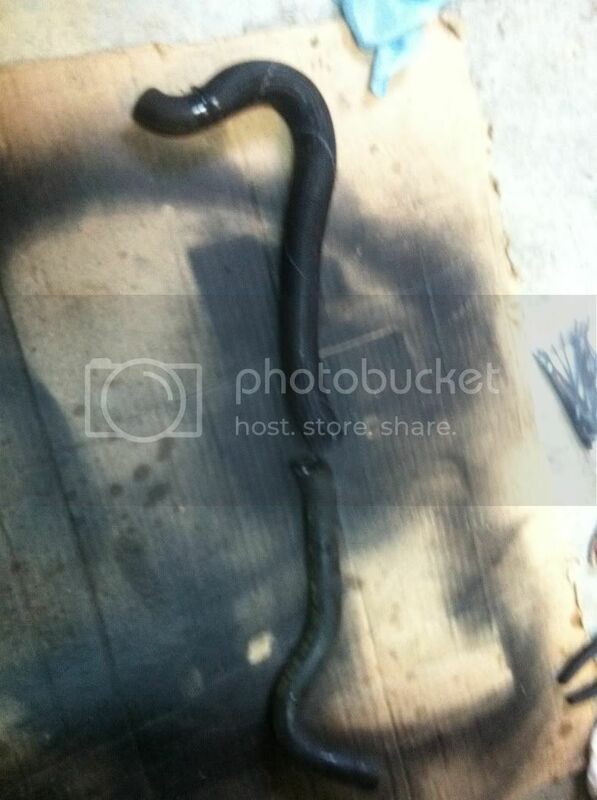 Heater Hose – You’re going to needs some bulk ¾” heater hose, couplers, and it will be helpful if you can grab some preformed 90* elbows. I recommend using 90* elbows right off the endplate, as there is not much room and bulk hose will kink. 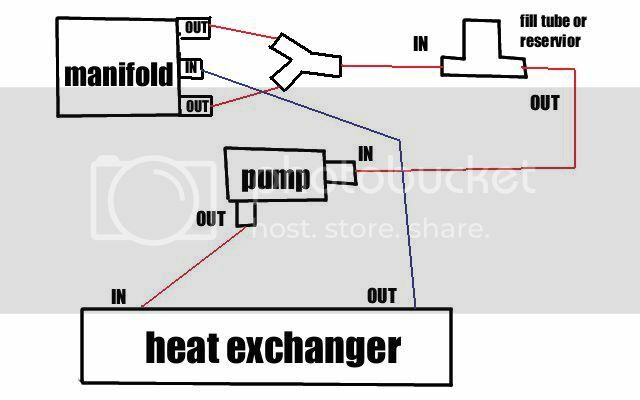 If you’re using a heat exchanger that has the in/out on opposite ends (like the Cobra), I find it’s hard to run bulk hose from the h/e between the radiator and support and to the pump without kinking it. If you grab the two heater hoses from any LD9 J-body, the are a prefect fit (they are a bit more “U” shaped on the ends than ours). Snip about 1” off the straight ends, then join with a coupler, so that the two make a sort of “S” shape. This wraps right around the radiator to the pump perfectly with no kinks or excess length. 5. 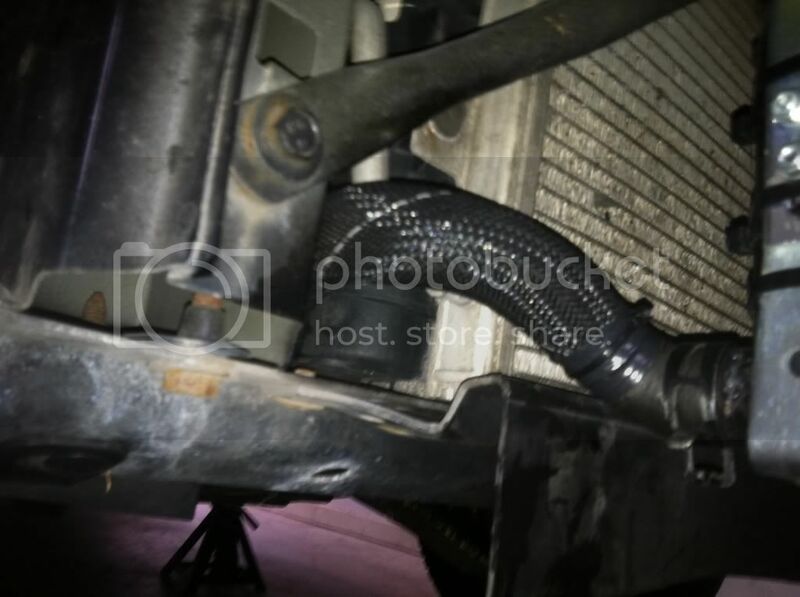 Filler neck or reservoir – I recommend scrapping the stock filler neck and using a reservior, the filler neck doesn’t give much room for expansion and using a reservoir will overall allow a bit more fluid in the system. Try to make it the highest point in your system, this will help to keep air bled out. Air in the system not only diminishes cooling, but it is hard on the pump and will decrease it’s lifespan. 6. Coolant Mix – You can run a 50/50 mix, though I would recommend using mostly water if your climate permits it. Distilled water is much more efficient at transferring heat than antifreeze. I run distilled water with a little Water Wetter additive…these are claimed to help reduced temps, I don’t know if it holds true, but they do have corrosion inhibitors like in anti freeze. I will of course be switching to 50/50 for the winter time. Upgrading your fuel injectors is a must. There are many options between compatible factory injectors, as well as a large aftermarket. Injector size will be determined by your overall power goals. You’ll also want to choose an injector that is large enough that you wont exceed 80% of it’s maximum duty cycle, but at the same time you don’t want a ridiculously large injector as it will be difficult tuning. For example, if you need 47lb injectors, running 80lbers will be overkill. RC Injectors has a handy calculator for determining your injectors size. For example, if you are planning on making 250hp, and stick to the rule of not exceeding 80% duty cycle, you’d be looking for around 43lb/hr (454cc) injectors. 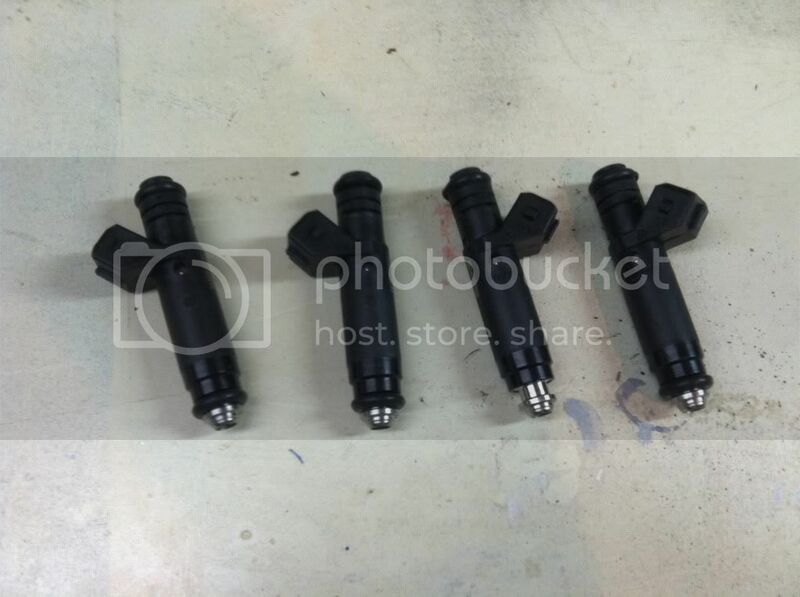 There are a lot of injectors we can borrow from other makes and models. Cobalt SS (36lb) and Saab 9-3T (32lb) injectors work for us (LSJ injectors are a direct swap for ’02 style fuel rails, 03-05 style will need a spacer), and Ford color top injectors are direct swaps as well. Red tops (36lb) and green tops (42lb) are commonly used, and can be found easily on eBay, forum classifieds, as well as junkyards (I personally don’t like the idea of buying used injectors, unless they are flow tested first). You may or may not decide to upgrade your spark plugs, however I recommend it. It’s a cheap peace of mind to have. You’re going to be cramming much higher IAT’s into the motor, heating up the combustion chambers, and a cooler plug will help prevent pre-ignition. This will be especially helpful if you’re going to be increasing timing advance closer to a level of knocking. People do run their stock plugs, I ran mine for a short time (re-gapped to 0.35”) til my NGKs were shipped. I didn’t notice any problem, though I was also not pushing the car too hard at the time. I would no longer trust stock plugs now that we’ve added back in a lot of timing and I’m consistently giving the motor a workout. One step colder plugs will work great for a m62 setup, and there are different options out there. Some people say copper tips are the best choice, some say Iridium, and so on. I recommend the NGK Iridium LTR6IX-11, they seem to be a popular choice on our platform. I believe NGK’s new part # for these is 6509. Seems most local parts stores (at least around here) are out of stock from their suppliers, but these are easily found at places like Summit Racing, Jegs, and sparkplugs.com. There is no right or wrong answer for tuning, other than you NEED to tune after installation. Our PCM does not understand or interpret boost, so it cannot manage fueling accordingly. Driving without a tune will do damage to your motor. There are different options out there, choosing which one is preference and depends on your needs. 1. GM Reflash – Many go this route for it’s ease, though it’s far from the most efficient. This is an “out of the box” tuning solution, so you get what you get. This is a locked tune from GM and cannot be modified. I hear mixed opinions, some say they run without issues, some say they do. I hear more than anything that it is full of issues (it quickly came to be known as the “GM Crapflash”); from randomly appearing idle and coasting issues requiring restarting to the car to fix, bogging, and so on. The reflash does tend to run your fueling pig rich, so some have found a 3.2 or 3.1” pulley actually runs a bit better than a stock pulley. One thing that scares me about the reflash is that it doesn’t seem to monitor (or really even care) about knock. 2. Trifecta – Trifecta Tuning is a reputable source, and Vince (programmer) is surely a genius. Vince will design and write you a tune based on your needs, then send you a handheld containing the tune, which you will then download to your PCM, then return the handheld. I know several people running Trifecta and are more than happy, the only downside I see is not having the person writing you tune right there with you to make adjustment needed. I guess you can call this the happy medium of “out of the box” and custom. 3. HP Tuners – I would say by far HPT is the best option for tuning a J-body. Though I do recommend you find an experienced tuner, this isn’t something that a person with no tuning experience can just open the box, and write a good tune. You’ll need a good knowledge of tuning theory, fueling, as well as the software. We require tuning via Alpha-N, which is basically TPS vs RPM tuning (as we do not have boost referenced tuning). Fortunately, there are plenty of forum members who are experienced tuners, and are usually willing to help out those of us that don’t have the HPT know how. HPT offers a ride range of variables than can be adjustable, far beyond just fueling. This will allow you to really fine tune all the aspects of your tune to maximize the performance from your specific set of hardware. A good tune is also what can make or break the life of your motor. There are also options like stand alones, which is a whole different ballgame, and in my opinion, not worth the money when running something like a m62. If you choose to go with separate IAT and MAP sensors, you MUST, I cannot stress this enough, you MUST place these after the supercharger for accurate readings when tuning!! The best place for the IAT is right on the manifold where the T-MAP would be. You need a very accurate IAT reading, since temperature is so crucial to operation with superchargers. The MAP could also be tapped into the manifold, or run off a boost referenced line. 1. Wideband O2/Air Fuel Ratio – I very strongly suggest getting a wideband o2 sensor and AFR gauge. Maintaining a healthy AFR is important to any car, but especially a boosted one. Having access to an accurate AFR is also a key tool for your tuner. I recommend the AEM UEGO wideband unit, seems to be the best bang for the buck, and unlike some competitors, this is a self calibrating unit. The Innovate LC-1 is also a popular unit, but this does require you to calibrate the sensor occasionally (which means removing the sensor from your exhaust to free air calibrate). Whatever you get, stick to a reputable name brand. When it comes to wideband units, you really get what you pay for. I know some people ran cheaper options like Glowshift, and when switched to AEM it showed a whole point or two different). You’ll also want to make sure to get something capable of outputting for data logging when tuning with HPT or similar software. 2. Exhaust upgrades – People do run on the stock exhaust, though something less restrictive will be a huge help. There are a ton of aftermarket options, and we luck out being able to use LSJ headers. I run the Pacesetter LSJ ceramic coated header and love it. The rest of my system is a 2.5” stainless steel system fabricated by a local shop. There are a ton of exhaust threads floating round on here, so I won’t really say much more. 3. Throttle body – Our stock throttle body is pretty tiny for forced induction, so many people choose to upgrade. There are some aftermarket L61 bolt on options (I believe there are still some RSM units floating around), and many people adapt throttle bodies from other platforms. Many choose the LS1 throttle body, which is the route I went. There has also been talk of adapting LS2 and others as well. You’ll need adapter plates to do so, when it comes to the LS1 you can get a plate style adapter from CBM (or machine one yourself), or Tinkles also had some made in a GP. I went with Tink’s adapter and love it. 4. Fuel Pump – While not mandatory, upgrading your fuel pump right away wouldn’t be a bad idea. With the extra demand placed on the stock pump (especially running a smaller pulley), you can expect to reduce the pump’s lifespan a bit. Racetronix is a popular choice in our community, and if you choose this route, pick up their W-body pump and harness for a direct bolt on affair. 5. Crankcase Ventilation – You will need to address the PCV system, as our stock system is strictly operated by vacuum (not to mention the new intake manifold blocks the PCV port in the head). This means anytime you create positive pressure (boost), the internal PCV system stops working and your begin pressurizing the crankcase with trapped exhaust gases. 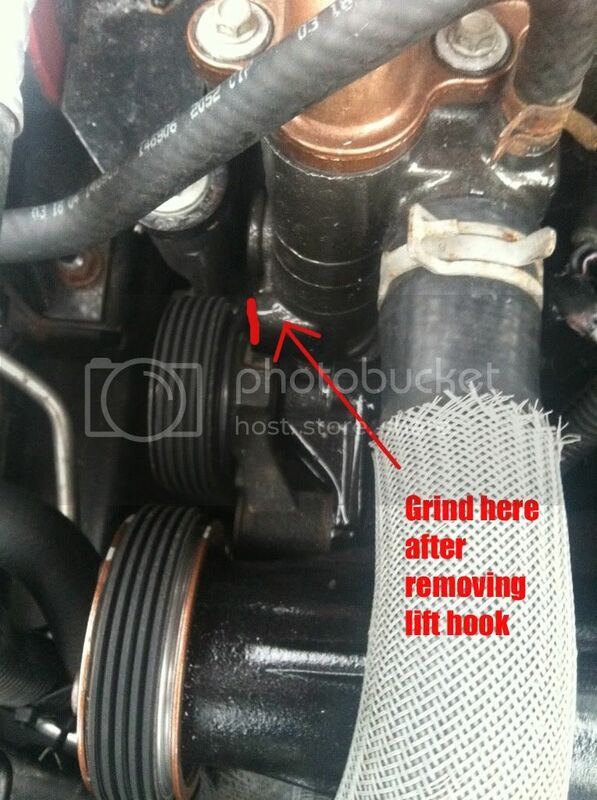 This can lead to blown seals, head gaskets, robbed performance, as well as an overall strain on the motor. A catch can system is great way to address this. 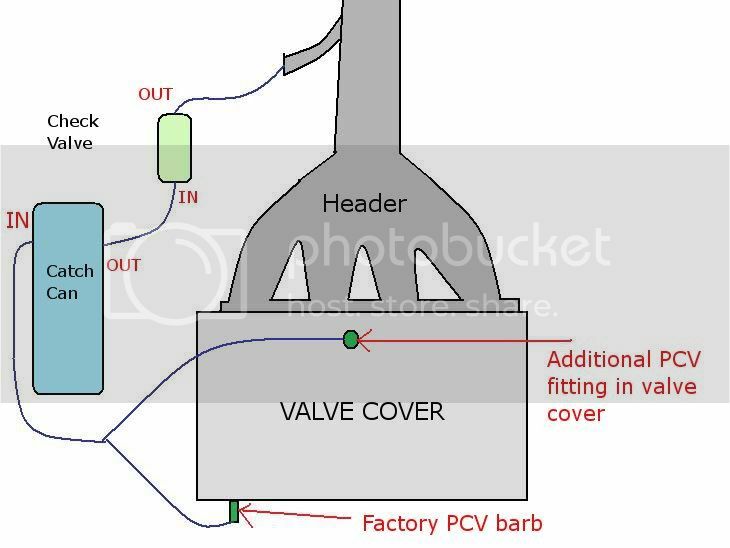 You would run the vent barb on the valve cover to a catch can, then from the catch can you run through a check valve and to a vacuum source (easiest source being your throttle body adapter). The check valve will ensure you don’t pull any of the exhaust fumes back into the intake tract, and running back the intake’s vacuum will ensure that you always have vacuum operating the PCV. 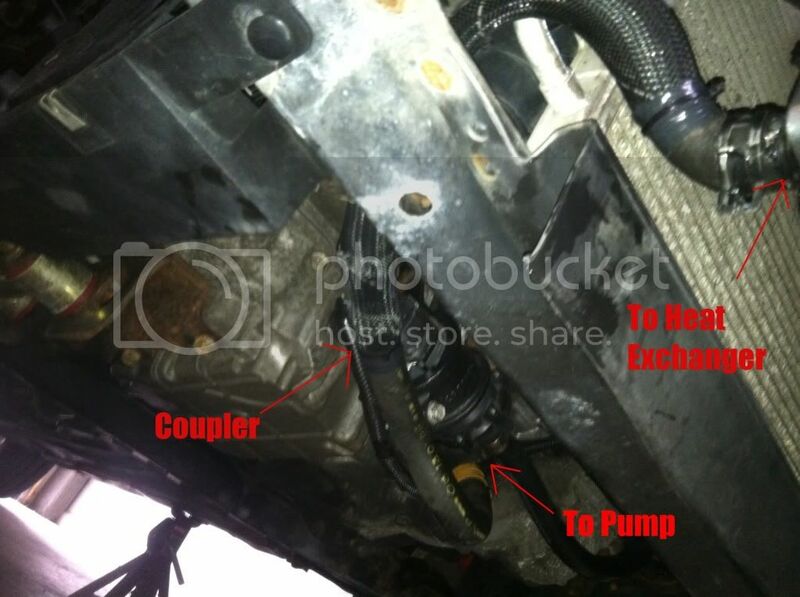 A while back, SweetnessGT made a great write up for LD9/Ecotec PCV modification. I suggest reading it. You may also choose to add extra vents to the valve cover (as I am) to tee into the catch can feed. 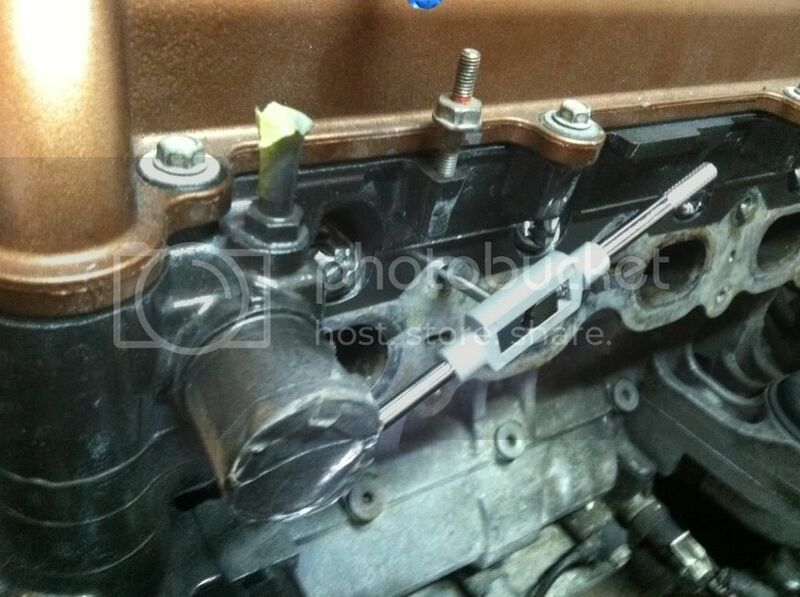 This is as simple as drilling and welding a fitting the valve cover. You could also drill the oil fill cap for additional venting. 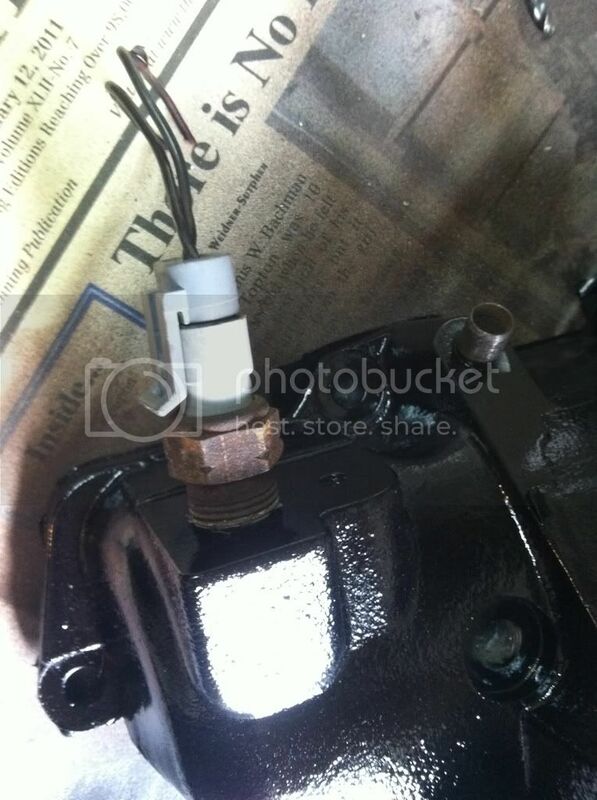 Metco also sells an adapter that replaces the oil cap with a 12AN fitting, to plumb to the catch can. There are a lot of catch cans on the market, I suggest using a baffled can, it’ll do a much better job catching the fumes. You could also get into electric vacuum pumps like used on larger race applications, though I for our purpose, I can’t see them being worth the large expense. Commonly asked question; Can I just vent to atmosphere? NO. The Ecotec’s PCV system is designed to be run by vacuum, and will only function that way. 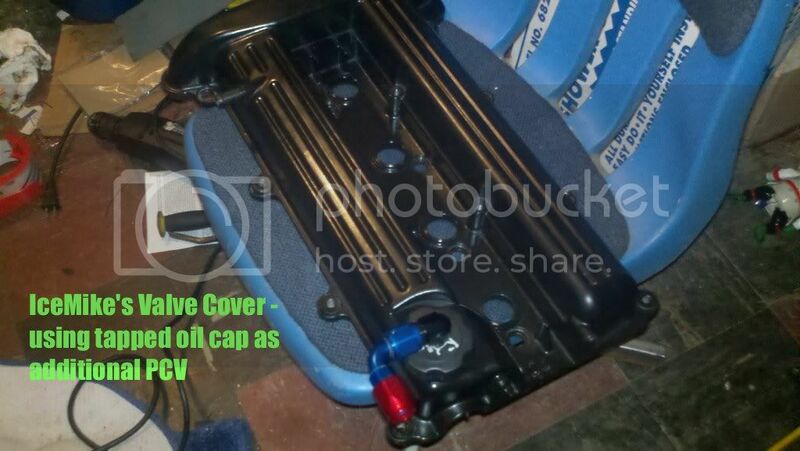 Phil’s (Qwibby) valve cover with additional fittings welded in. These will get plumbed to the catch can. Venting the crankcase to the exhaust is just another option. I’m not 100% sure, but I feel the Cobalt SS/SC may use an additional vent into the exhaust. To better explain…the reason we plumb our catch can into the intake tract is so there is always vacuum (again, our internal PCV system is designed to work only by vacuum, once you hit boost, vacuum stops and the system can no longer “breathe”), but even with baffled catch cans and check valves, I’ve still noticed a bit of oil residue around the throttle body. I don’t want to be sucking that through the blower’s rotors, and through the manifold where it could stick to the cores. In a normal n/a setup, it’s ok to run the return pcv line right into the manifold, as any unused gases and residue will just be sucked right back into the combustion chambers and incinerated. So, if we evacuate right into the exhaust line, you can burn up the unused gases without fear of returning them through the blower and manifold. Not saying this is better or the right way to do it, just another alternative to look at. My initial setup was running the stock VC barb to a catch can (pulling vacuum from throttle body adapter), and venting a spare oil cap. My new system will vent from the valve cover into a baffled catch can, through a one way check valve, then into the exhaust…kind of a wastegate for superchargers for lack of better terms. 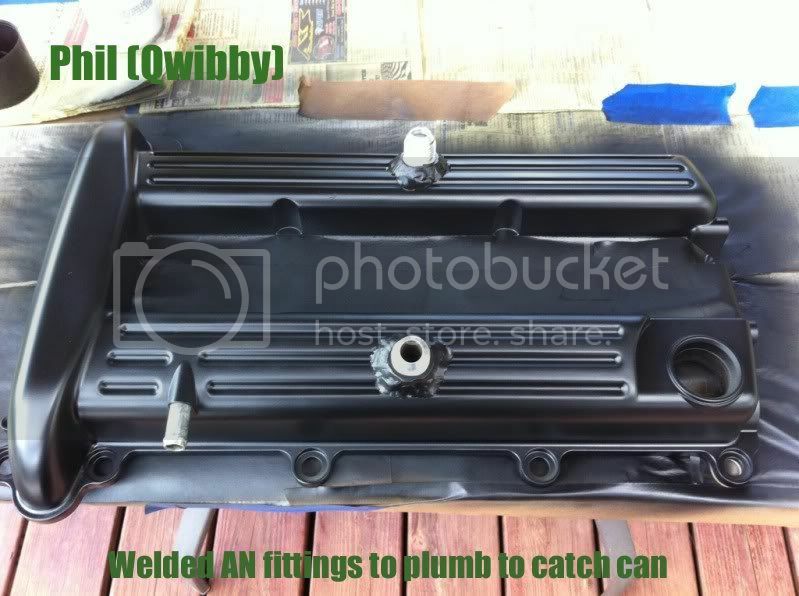 I’m not sure yet if I’m going to just weld a fitting to my downpipe and run a braided line, or actually bend a small stainless steel line, welded to the downpipe, that will come up to the firewall with a fitting to run a line to. Just like everything in the world of modifying cars, there are endless options for how to do your install. The LSJ/M62 has a pretty impressive aftermarket that we can utilize. There are also options for customizing much of the equipment. This is where you can get creative and make your m62 kit unique. 1. 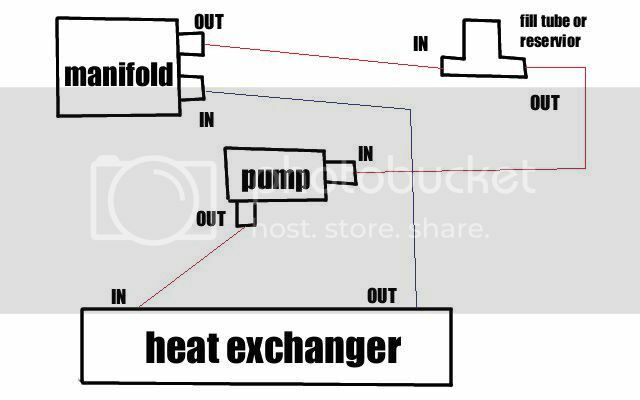 Cooling system – A good cooling system is a must not only for getting the best performance from your supercharger, but also maintaining safe temps in the motor. There’s a large aftermarket when it comes to cooling. Dual Pass Heat Exchanger – This is a replacement endplate with 1 inlet and 2 outlet, and changes the flow pattern of the cores. This combined with a quality heat exchanger can make a solid cooling system. ZZP, OTTP, and GM Racing all make versions of the dual pass. ZZP Single Pass Manifold – This is a full replacement intake manifold, my understanding is that all 4 cores are faced the same direction so the water is only making 1 pass straight through. Heat Exchanger – While the Cobra h/e is a popular choice, there are much greater options. There are single and dual pass cores, dual obviously being the most efficient. The ZZP S3 is a very popular choice, as well as the OTTP Stage 1 (just slightly smaller than ZZP’s). CX Racing makes similar units, though I am unsure of their quality. Fluidyne is a very reputable name in the Mustang crowd, and they make some pretty ridiculous heat exchangers. Fair warning, most of the h/e’s are HUGE, and may take some modding to fit behind a J-body’s bumper. Pump – The stock pump seems perfectly acceptable, as it pumps 4-6gph, and the recommended rate for an application like ours is 5gph. If you do choose to upgrade, Mezaire makes several options. Methanol/Water Injection – Meth injection is an effective way to minimize detonation. There are a ton of kits on the market, which are honestly all about the same. There is a wide selection of nozzles sizes, activation switches, and tank sizes, so you’ll have to chose what best suits your needs. I’m not going to really get into how it works, as there is a wealth of information all over the internet. Some reputable brands to check out are AEM, Alcohol Injection Systems, Devil’s Own, and Snow Performance. 2. Supercharger Port and Polish – You can opt to have the blower port and polished, similar to how you would have a head done. This is something you don’t want to attempt on your own; removing too much material or removing it unevenly can have ill effects, and reassembly the casing is something that takes great precision. Pick a shop that is known for working on superchargers. First place that comes to mind is Stiegemeier, they are known for their high quality work, quick turn around time, and competitive pricing. 4. Adjustable Tensioner – This becomes useful when dropping to small sized pulleys, to take up the slack in the belt. The OEM tensioner can only compensate so much, and even with a short belt cannot always give enough tension. There is also the problem of small pulleys having less surface area to contact the belt, which cause slipping, and this tensioner can help that. 5. Adjustable Fuel Pressure Regulator – This again is something not needed by all, and you’re overall goals will determine if you need one. It seems most builds are fine with stock regulator (or even a stock LT1 reglator). I am far from an expert when it comes to fueling systems, so rather than mislead anyone, I’ll say there is a ton of information here and other forums regarding fueling hardware, do some research then decide from there if you need to upgrade the FPR. If you do, Aeromotive is a popular choice and respected brand. 6. Phenolic Spacers – The major drawback to roots type superchargers is the immense amount of heatsoak you’ll be battling, especially when you start running smaller pulleys. The problem comes from a hot aluminum blower, butted right against a really hot aluminum manifold, which transfers most of it’s heat right onto the head. Heatsoak drives up your IATs and kills the efficiency. There are two types mainly used; one spaces the blower off the manifold, and the second spaces the manifold off the head (keep in mind when using the manifold/head spacer, you will need longer bolts to secure the manifold to the head). I believe there is also a spacer for throttle bodies, though I have no experience on it’s effctiveness. JUCNBST has a good review written for the O.E.M. blower/manifold spacer, and in my opinion it yielded pretty impressive results. Cruising IATs (out of boost) were consistently about 10* cooler, and when the used an infrared gun on the surface of the manifold and blower, there was a significant drop in temperature. I imagine the head/manifold spacer makes even more of a difference, and the two combined should really aid in keeping things cool. To my knowledge ZZP and O.E.M. both make the spacers, and I’m sure there are other vendors too. These are of course the basics, but when it comes to customizing your setup, there could be limitless options and combinations. Some stop with bolt ons, but there is always beyond. Custom fuel lines may be added, modifications to the intake system, various catch can types and options, etc. Hopefully the information proved in the write up covers the basics and a bit more for newcomers, and gives you an idea where to start when sourcing, installing, and gaining the most from your supercharger setup. Charlie Sheen aint got shizz on you Evilution, thanks for the awesome M62 guide post bro. I know some don't want to hear this and some say its pointless but.... STICKY! Too much good info in one clear, well organized, and concise place here to ignore this one and let it get buried, IMO. Very cool, I'll dig through my parts file in my filing cabnet for the Mc Mastercarr shoulder bolt part numbers, If I got it I'll post up so you can add them to your list. I don't have the Mc Master carr part numbers in the cabinet.... oh well. Thats sweet. 1 thing you must stress in the first tuning section is that IAT and MAP MUST MUST MUST MUST MUST be taken after the blower. Sticky for sure thanks man. Also what's a exhaust dump for the pcv system? As well as the p/n for the original GMPP conversion studs, though I dont think they exist any longer, nor were ever sold outside of the kit. Thanks for mentioning that, I didn't even think about it when I was writing. This has now been added into the "tuning" section! Just an alternative to running into the intake tract...sort of "free" constant vacuum if you will, lol. I don't like the thought of any oil residue making its way back into the blower/mani if it slips through the catch can or check valve...this way it would just dump right to the exhaust and be burnt up (kind of like a waste gate dump). I've added a little more info on this to the PCV section, as well as a diagram of my upcoming setup. Thanks for all the input so far guys, glad to know the info is helpful!! Just have to watch the exhaust dump. It doesnt agree with cats and some sanctioning bodies of motorsport do not like them. Yeah, one of these days I have to throw the car up on stands and take a good look along my exhaust and see what kind of room I have to play with...ideally I'd like to run a stainless dump pipe all the way from behind the cat and resonator, and up to the firewall somewhere, then join a braided line with a fitting. Not overly concerned (at least in my case) about approval from organization...I don't intend to much bigger than "grudge race" nights at local tracks or maybe some local auto-x events. Though I agree for some, depending on where they run there cars, this route may not be the best. Drag racing doesnt care. Its the SCCA that does. I cant remember but at least once I believe its mentioned explicitly as being banned. Great write up. Will be very useful to me soon. Fkn awesome write up. This is what happens when someone sets out to piece together a kit as efficiently as possible, and keeps track of these things along the way. Sticky for sure! Thank you. I have been researching this for a year and you just summed up all I learned and then some. Sounds like I may be remaking a TB adapter. Spent a week on the one I just finished. Chit. I will definitely be back to this thread as my install progresses. I recommend the bolts as a truly "bolt on" option. I'm tapping my new head for m8 bolts as well, but keep on mind there may be people out there not comfortable with drilling and tapping. This gives those people an option. Hey you are missing some parts from the kit. There are a couple u nuts (for the hose and the oil level stick support) or do you not need those? I know there are more parts as well, I'll have to double check.